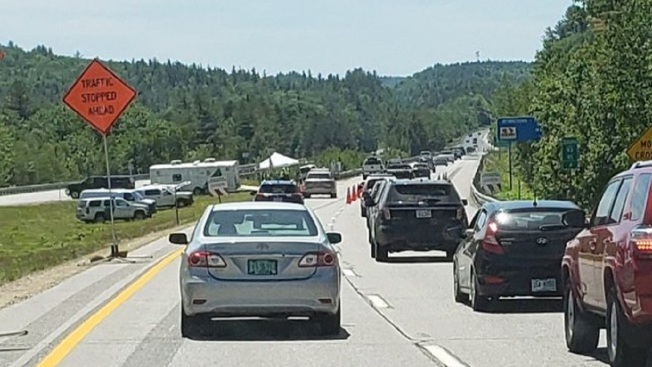 A three-day immigration checkpoint in northern New Hampshire has resulted in the arrest of five people living in the U.S. illegally. The operation ran from Friday through Sunday in Woodstock along Interstate 93. People arrested were from Brazil, China, Ecuador, El Salvador and Mexico. The U.S. Border Patrol says they were turned over to U.S. Immigration and Customs Enforcement. The same area was the site of a Memorial Day weekend checkpoint that led to 17 arrests. Agents also seized drugs and drug paraphernalia, including marijuana. Earlier this month, the ACLU of New Hampshire obtained law enforcement emails that revealed there are six checkpoints planned for this year. Agents are allowed to set up checkpoints within 100 miles of the border. Woodstock is about 90 miles from the Canadian border.